Built by Two Way Direct, the XTR550U brings compatibility to work with Motorola and Hytera handheld devices, while offering the dependability to handle any potential jobsite with an IP65 rated unit. 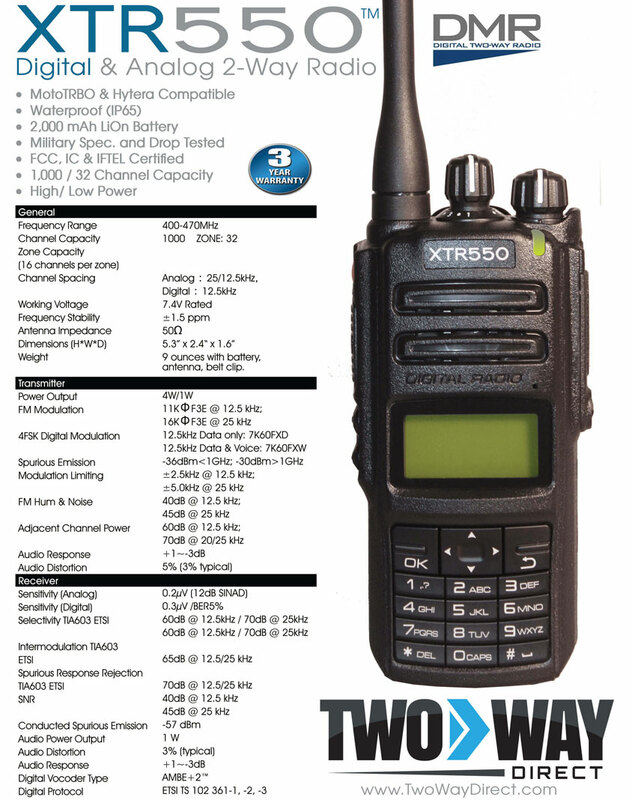 Order the XTR550 online or call 888-742-5893. I use this radio with my existing Motorola XPR6350's. The digital works perfectly with our other radios but this option was half the price! Great bang for buck! I even like it better than the Motorola's. Quality is amazing. It's has very loud and clear audio. Extremely durable. Very glad I found this radio!